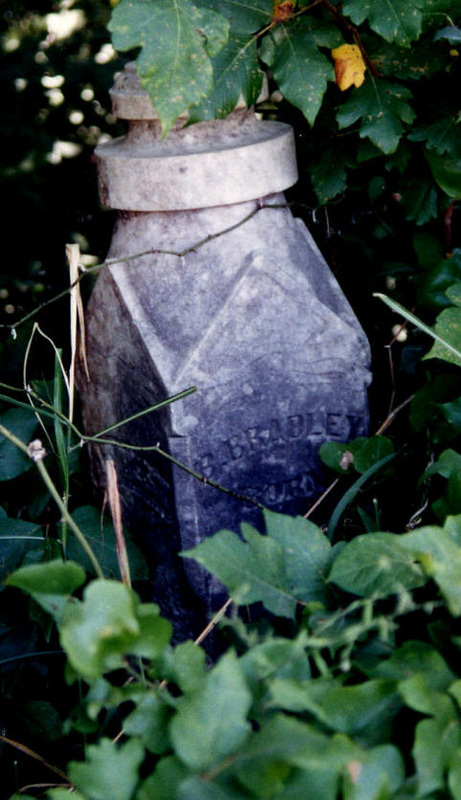 J. J. Bradley is listed as one of the early residents of the community of Pike, which is about 2 miles south of the cemetery. There are no Bradleys buried in the Pike Cemetery. The only upright stone can be seen near the edge of the trees. There is a base for another stone north of it. The one stone is in good condition. The stone that went with the base is gone. There is another stone on the eastern end of the grove. It is a double tablet, possibly for children. It is down and the writing is almost gone. There is a large bois d'arc marker in the northwest corner. The one upright stone has inscriptions on two sides. According to COLLIN COUNTY CEMETERY INSCRIPTIONS I, this cemetery contains some unmarked graves and is about 50-feet square.